Let's check out a seafood restaurant. Hmmm??? 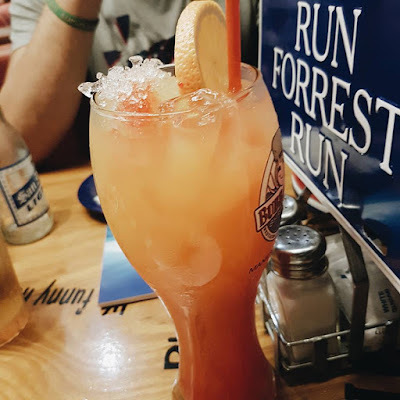 The best option is the Bubba Gump restuarant in Greenbelt 3, inspired with the movie Forest Gump you can enjoy fresh seafoods with the different style of cooking, depending on what you crave for. 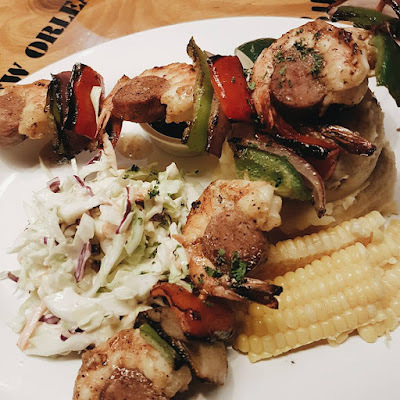 Drooling over this Kentucky Bourbon Shrimp Skewers freshly served with mashed potatoes, mixed veggies and corn. The skewers were made of 3 pieces of shrimp each stick, red and green bell peppers, large cut onion, with sausage inside flavoured with the bourbon sauce. Grilled tenderly and flavourful everything was worth all the calories. The shrimp was so tender and chewy adding the creaminess of the mashed potatoes makes me finish it until the last bite. Mama's Southern Fried Chicken is not your regular friend chicken. Seasoned just like a mother with loving heart, not that salty but perfectly. The mashed potatoes, the same as skewers, was milky and prepared smoothly that you'll lavishly eat, of course with the corn and veggies as well. 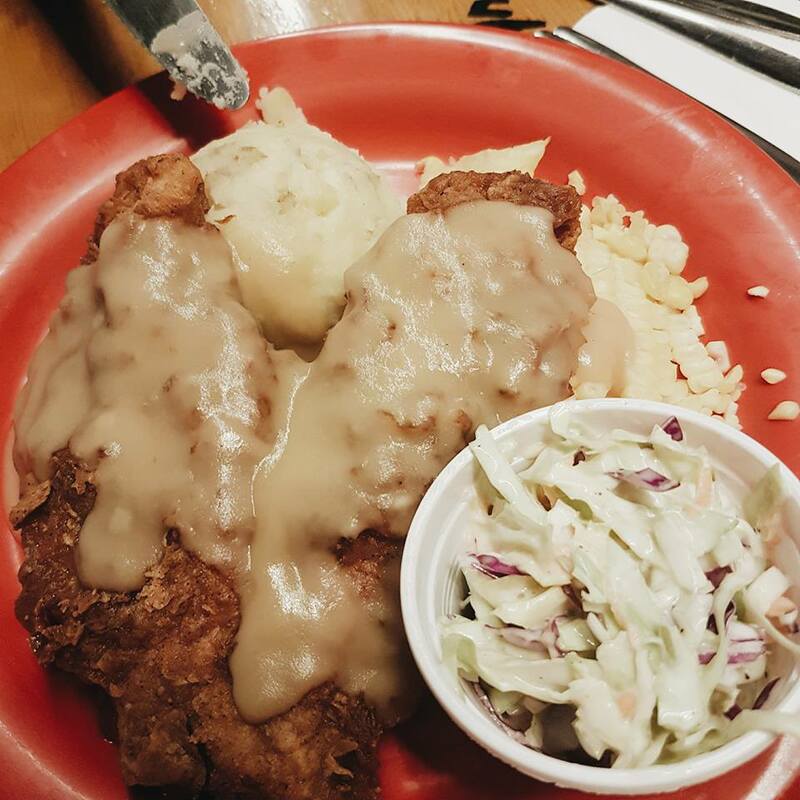 They fry the chicken thoroughly and its not too oily to eat. We can't let our love for shrimp slide so we added the Shrimper's Net Catch. The seasoning was superb with that spice and and I can taste garlic, even if we chose the Cajun Spice, which I really love. 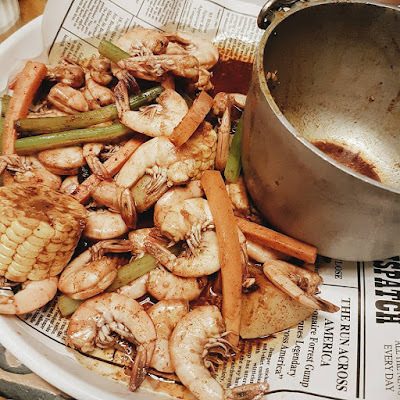 No one can outhit this idea of a bucket of shrimp with the luscious taste. It was a night out after all and they offer unlimited to selected drinks. And the first thing that came to my mind is that Sunny burst will be perfect for me. Consist of vodka, mango pure, apple juice and grenadine makes it perfect to be a ladies drink. Really end the night with lots of food, fun and fondness.